A few weeks ago, I was talking to my author friend, William R. Bartlett, and we discussed the possibility of a guest post where he’d share his vast knowledge of firearms.Bill readily agreed and surprised me with a multi-part magnus opus that covers pretty much everything on the subject. This post contains part of his introduction to firearms. The next parts will be posted on a regular basis, as Bill prepares them. Enjoy and bookmark! 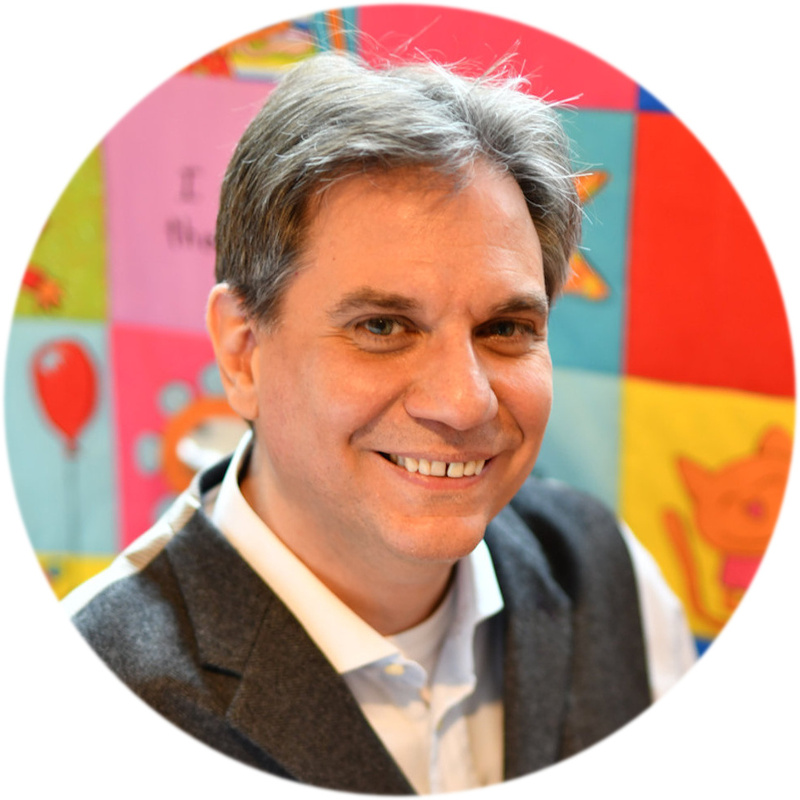 When Nicholas first offered me an opportunity to send a guest blog regarding firearms, I didn’t hesitate. Sure! Be happy to. Then, I sat down and began to go over things. Firearms have been around in one form or another since the Middle Ages, nigh on to a thousand years, and reams have been written on the topic. Where to begin? How detailed should I go? Should I limit myself to modern weapons or should I include the entire history, from the most ancient types down to the newest steel and polymer creations? A comprehensive history may result in word counts exceeding hundreds of thousands and that may tax the patience of even the redoubtable Mr. Rossis, so I’m going to keep this brief and cover the bases of modern weaponry in four parts, plus a part for historic weapons before the modern era. In this thumbnail guide, I’ll discuss handguns and long guns, i.e. rifles and shotguns and some of the mechanics of pre-modern weaponry. One of the difficulties in dealing with the subject is that there are so many rules and all of them have exceptions. 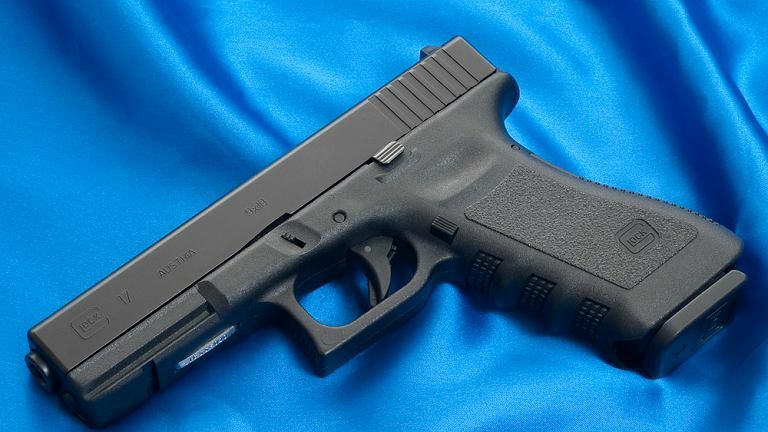 A handgun, for example, is usually designed to be held with one or two hands, however some have shoulder stocks. Long guns are usually fired from the shoulder, although some have folding stocks or have the stock removed entirely. This is true of ammunition, as well. A shotgun usually shoots a number of pellets or shot, but it can shoot a single slug. Rifles and handguns, on the other hand, usually shoot solid bullets, although they can shoot small amounts of tiny shot. In this thumbnail guide, I’m going to present some general information (of course, exceptions abound) and try to focus on some guidelines that will make your writing more realistic and keep from disturbing your reader’s willing suspension of disbelief. Rather than start with any sort of weapon, I’d like to begin with ammunition. Without something to shoot, the most powerful weapon in the world becomes a simple club. All ammunition has four components: the cartridge, (usually brass) the primer, the propellant, (or powder) and the projectile. Rifle and pistols shoot one of two types of bullets and both categories refer to the primer. The most commonly used synonym for a firearms cartridge is a ‘round.’ Although I can’t quote chapter and verse, a logical origin would be from when only round balls were fired from muzzle-loading muskets and rifles. Rimfire ammunition, as the name implies, has the primer distributed around the outside edge of the cartridge base. The caliber, or diameter of the projectile, of rimfire ammunition is small, usually around 5.6 mm, or ‘.22’ although a smaller round in ‘.17’ caliber, about 4.5 mm, is also available. Rimfire ammunition can be shot from a rifle or a handgun and is smaller, both in size and in power, than other types of ordnance. All rimfire cartridges have a lip or rim (this rim has nothing to do with the primer type) around the base of the cartridge and cannot be reused. Rimfire ammunition is typically used for extremely small game and target shooting, including those used in biathlon competition. Although all firearms are lethal, rimfires are usually considered inadequate for human-sized targets. Keep in mind the previous caveat that there are exceptions. The advantages of rimfire ammunition include the fact it is relatively inexpensive and noise, as well as recoil, is minimal. The disadvantages are a limited accurate range and limited energy delivered on impact. Spent cartridges are readily identifiable as rimfire and forensics can identify a specific weapon. An expert marksman at short range could assassinate a target with minimal noise that could be easily masked by high decibels of ambient noise, such as a passing train engine, a jet aircraft taking off, or being near the performers at a rock concert. However, a housewife armed with rimfire ammunition could shoot every round in the magazine and hit her target each time without killing the assailant. Each case would depend on where the victim was struck by the bullet, and, in the case of the housewife, how big her attacker was and how much and what type of clothing the assailant wore. 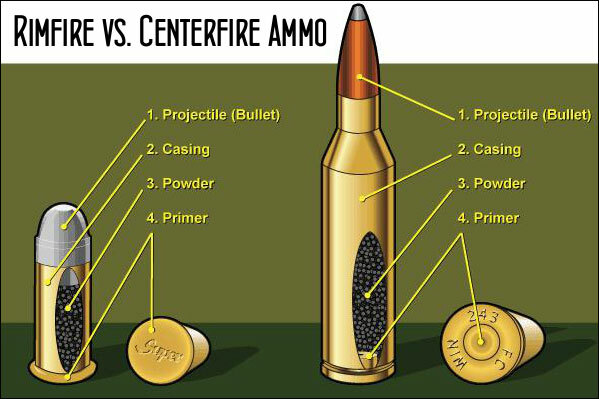 Centerfire ammunition is also named for an obvious reason. 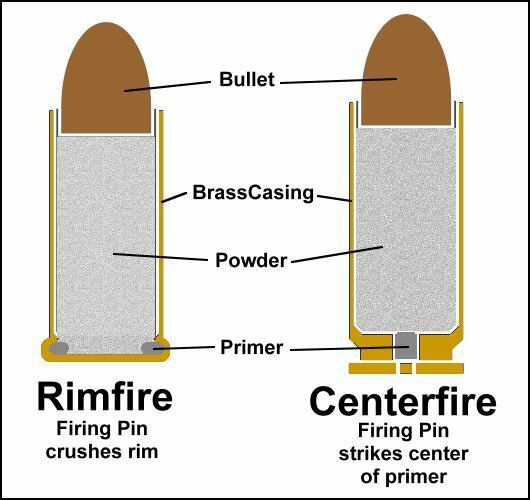 Centerfire cartridges have a primer as a separate component in the middle of the cartridge base, unlike rimfire cartridges which have the primer around the circumference. Because the spent primer can be removed, it’s possible to insert another primer and reuse the spent brass to make another cartridge, ready for use, although this does require special tools and other components. All modern, high-powered weapons use centerfire cartridges in a variety of calibers too numerous to name in entirety. Some of the more popular calibers are .38, .357 magnum, 9mm, .40, .44 magnum and .45, for handguns, 7mm x 57mm, also known as 7mm Mauser, 5.56mm, also known as .223, 7.62mm x 51mm, also known as .308 of ‘7.62 NATO’, and .30-06, pronounced thirty aught six, for rifles, and 10 gauge, 12 gauge, 16 gauge, 20 gauge, 28 gauge and .410 gauge for shotguns. All of these cartridges are centerfire cartridges. Advantages of centerfire ammunition are a greater range, greater power, greater delivery of kinetic energy on impact resulting in greater stopping power and the possibility of recycling spent cases to make a virtually new cartridge. Disadvantages are greater noise, greater recoil, greater range, (the bullet can go farther than desired) and greater size. An expert shooter can hit a target from a great distance. The distance record belongs to a Canadian sniper who killed his target from nearly 2700 meters. Although noise suppressors are available, (more about them in a minute) the projectile itself travels greater than the speed of sound and creates its own sonic boom as it speeds on its trajectory. A housewife can kill an attacker with a single shot from a centerfire weapon, but the bullet can pierce the target and continue on to cause unintended damage and, conceivably, injury or even death. All weapons are unique in that the tooling during manufacture leaves microscopic imperfections that are transferred to the brass case upon firing. Forensic researchers can identify a particular weapon from the marks left on the brass found at a crime scene. 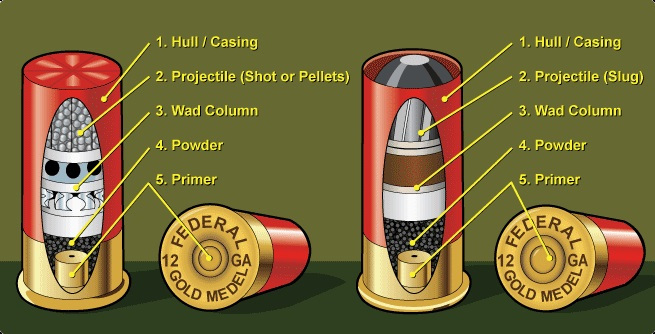 A shotgun shell is a self-contained cartridge typically loaded with multiple metallic “shot,” which are small, generally spherical projectiles. Traditionally, lead was used for the shots, but steel, tungsten, and bismuth shots have replaced it due to laws designed to protect the environment. A single, large projectile known as a shotgun slug can also be used, and numerous specialty rounds such as less-lethal rounds (e.g. beanbag rounds), flechette rounds, lead-dust rounds for door-breaching etc. are also available. An old non-lethal shotgun load consisted of a shotgun shell loaded with rock salt, which could inflict very painful, but rarely deadly, wounds, and was therefore popular for scaring away trespassers. Specialty shotgun ammunition includes non-lethal rounds available in the form of slugs made of low-density materials such as rubber. 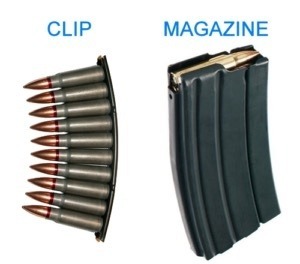 Magazines are where cartridges are stored within a firearm, not a clip. A ‘clip’ is a storage device for cartridges outside of a weapon and is usually designed to facilitate loading. Some magazines can be removed from a weapon and some are internal within the firearm. Removable magazines are frequently used for military weapons and semi-automatic handguns, but they are not exclusive to this type. Many sporting firearms utilize an external magazine, primarily rimfire rifles. I hope you found this information useful. In the next installment, I’ll continue my introduction to firearms with a discussion on bullet impact and silencers. Great article and a terrific help! Thank you. I usually bug my husband with my firearm questions. Awesome article and I’m eager for the next ones! Saving! this is a vastly informative piece that I am saving! Thank you William and Nicholas!